If you own property with electric power lines nearby and would like to have power delivered to the property for an existing structure or as a power supply for a camper, you'll need to make some preliminary equipment installations before contacting the power company and scheduling their crew to actually tap into the power lines. A meter base and disconnect are needed before the power company will hook you up to the grid. 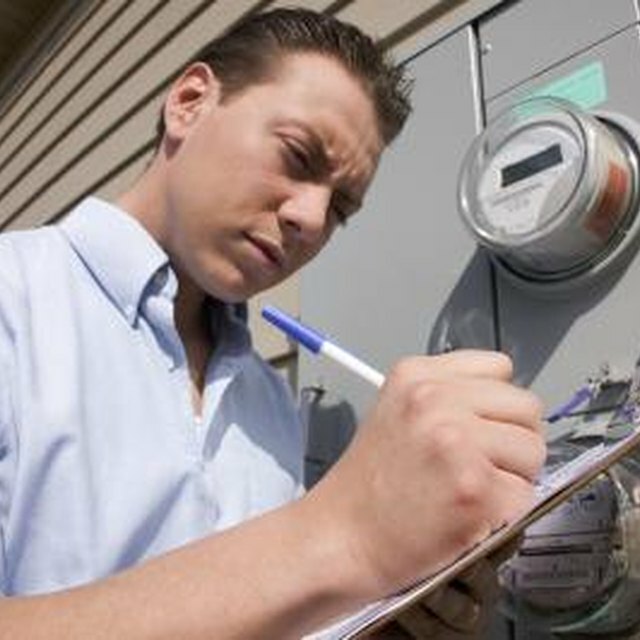 Schedule a site inspection with a representative from the power company to determine if the project is feasible as you envision it. The power company planner can offer suggestions, point out potential problems and alternatives, as well as give you an estimate of what getting the power to your property will cost. Obtain a meter base. Some power companies require you use a base they supply for free or at cost. Others will list specific bases or a list of specifications the base you purchase at an electrical supply outlet will need to meet. Mount the meter base in the location you and the power company representative agreed was appropriate. This could be on the exterior of an existing building, on a service panel you would need to construct or on a power pole located on your land. Install a service disconnect box between the meter and where you will be locating the main load center. The disconnect box is usually located either near the meter box or, if the power will be located 50 feet or more from where the meter box is located, it will be mounted in an accessible location near the load center. Install the wires between the meter base and the disconnect box. The size of the wires is determined by the size of the electrical service you plan to install and the distance from the meter to the disconnect. Drive a ground rod into the soil near the meter base location. Contact the power company to schedule the installation of the lines between the power lines and the electric meter base. The power company will run these lines, connect them to the "in" side of the meter and connect a ground wire between the meter base and the ground rod. There's no reason to wait until the power is turned on to complete the rest of the electrical installation. Installing wires from the disconnect to the main load center and wiring individual circuits can be started or completed before the power company comes to do its part of the job. Be sure the main disconnect box is turned off before running the wires to the load center. Be sure the main breaker in the load center is turned off before running the wires to individual circuits.